Garrie and Jackie Price answered God’s call to Hungary in 1999. Garrie pastored a refugee camp ministry for three years outside Budapest. Jackie learned Hungarian and discipled women in Calvary Chapel Budapest. Then the Lord called them to start a church in Vac, Hungary. After four years in Vac, they felt God was calling them to turn the church over to a Hungarian pastor, Tamas Gemes. The Lord then called them to Baja Sur, Mexico. 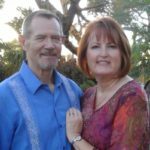 After helping a struggling pastor for a year in San Jose del Cabo, in 2008 the Lord led them to Cabo San Lucas to plant a church. They built a temporary church on land they were allowed to use but didn’t own where the Word of God is taught verse by verse through the Bible. Jackie leads worship. Garrie disciples the men and Jackie disciples women in the church. Future church leaders are being raised up. In May 2018, after three years of prayer, God provided and gave them land upon which to build His church in Colonia Miranda. There is no Christian church in Colonia Miranda or Colonia Azteca which is next to it. Pray with Garrie and Jackie for God’s provision for materials and workers to build His church, two classrooms for the children, a kitchen and a large storage room for clothing, bedding and other donated items for use and distribution in their humanitarian efforts in the surrounding communities.